I tried the reset, no avail. I contacted Ford and they asked if I tried what was in the manual (hold button for over 2 sec. to reset). I said I did, they said it should work so I need to take it to a Ford Dealership that handles Class A Motorhomes. I am heading to the mountains at O'dark thirty tomorrow, so if anyone beats me to the punch and gets to a Ford Dealership and gets it worked on please keep me posted. Jamie, thanks for the file. 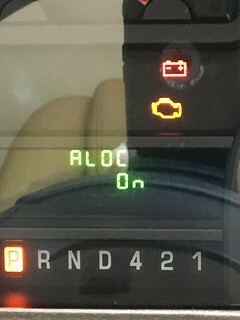 The Owner's Manual isn't very well written but it does reference a Basic Information Display Control and an Optional Information Display Control. It looks like I have the Basic so only Trip A/B, auto lock and auto unlock (which of course does nothing). 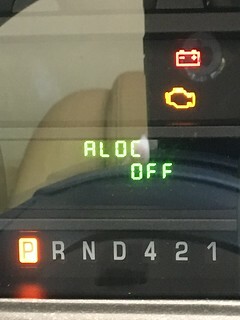 The ALOC and AUnLOC on/off is only available with the engine off and holding the Select/Reset stem cycles between on and off. 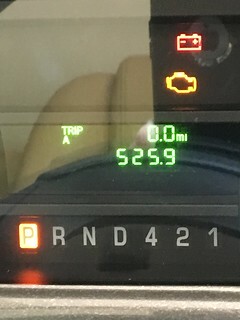 2015 Vegas 24.1 on E-350 -- only have trip A/B mileage. No miles to go on gas quantity. 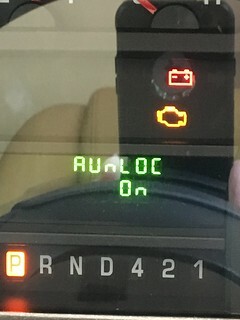 I just spoke to a local Ford Tech who believes there was something switched off that might just take a quick diagnostic check-up to reinstall, I am going over at 7:30 in the morning before we hit the road to go fishing. 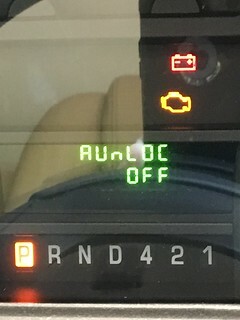 If it is just an ECU setting, please find out. I use OBDLink w/DashCmd. I can set it with that tool. Went to the Ford dealership Friday and the answer was NO on mine, but could be YES for others. It seems that all stripped E350's may not be created equal. Most, like mine, have the barebone minimum (destined for the most entry level truck if it made it that far) in so far as Display Controls due to the actual instrument panel cluster utilized in its fabrication. 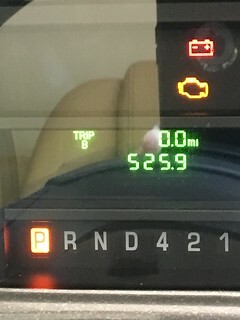 But some stripped E350's have an upgraded instrument panel cluster (meant for an upgraded truck with an upscaled ultimate trim package...if it made it to being a truck). So, it was the tech's opinion is that if some people ended up with Units that could do more than the Base Information then some of the stripped chassises were pulled off different assembly lines as production requirements to Thor dictated...so some of the units ended up with instrument clusters with better Display potential. Only way to know is to go have it checked at a Ford Dealership, mine was done under warranty.